Finding the best setting for engagement photos can be quite tricky. I never thought about it until after I actually got engaged and dove into the wonderful world of wedding planning but it actually takes a lot of work to plan out a pre-wedding shoot and this coming from someone who is used to taking photos and posing amidst beautiful places… it just means that it really requires time and effort. As a lifestyle and fashion blogger, it is a basic requirement to scout for locations which provide the most perfect backdrop for posts. I’ve learned early on that there is truth to that idiom, “it’s all about location, location, location” and having lived with this mantra for the last ten years since I’ve been part of this industry, I knew that when my fiancé, Yan and I were going to be shooting the first of our engagement photos, the same adage would hold true. After spending a couple of hours soul searching for our concept, we tried listing down a couple of places which would be the best fit for what we had in mind but this task proved to be impossible. We elevated this concern when we met with Quirky Creatives during our first pre-production meeting for our collaboration, hoping that Noel and Rae’s expertise on wedding photography would be the solution to finding the perfect setting for the shoot and this was something I am really glad we did since after showing print-outs with the pegs we had in mind, Rae said that Villa Milagros was the perfect place. 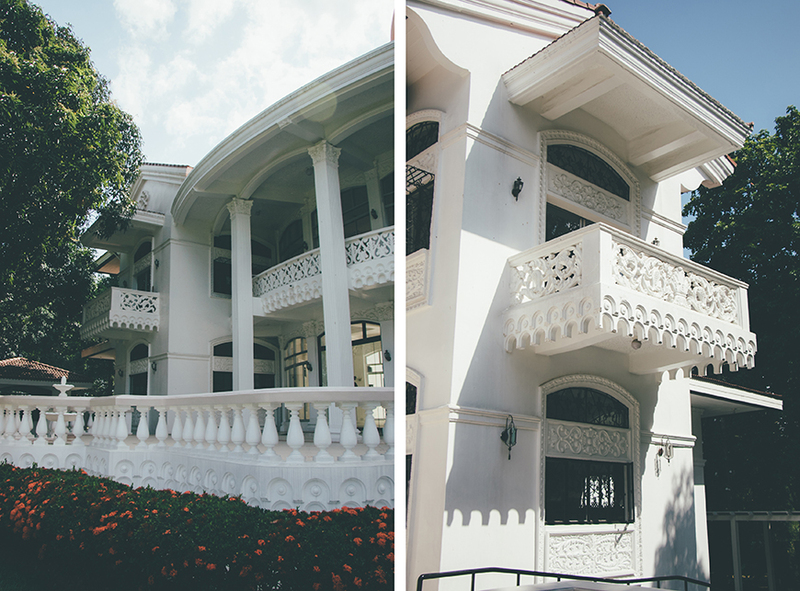 I haven’t heard of it (with good reason since the mansion was restored in 2015 and opened for hosting events, functions and photoshoots the year after) but after seeing the photos, I was in love and so convinced that I’ve found the place to do our pre-wedding shoot in and can I just say that once you’ve set the location, that’s when the ball starts rolling and everything just falls into place. 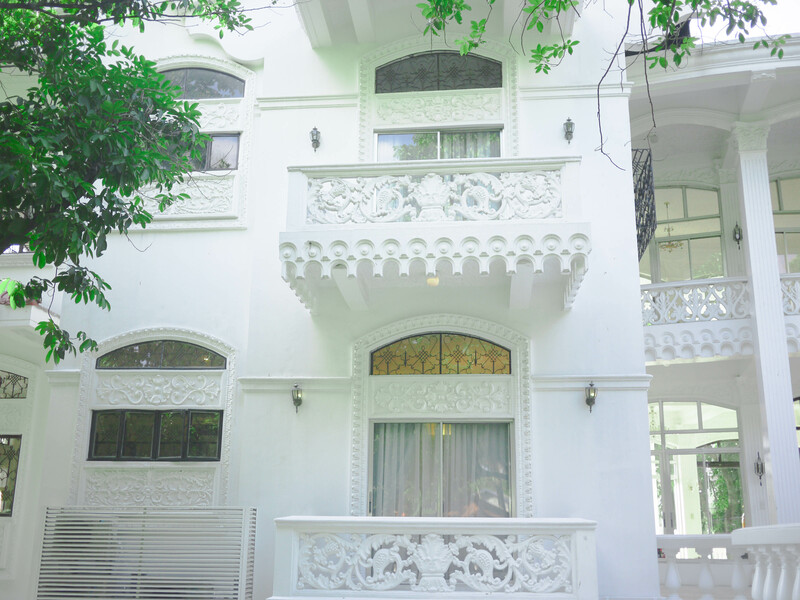 Built between 1965 and 1969, Villa Milagros is an architectural gem nestled in the Sierra Madre foothills but more importantly, it is the ancestral home of the Liamzon family of Rodriguez Rizal. 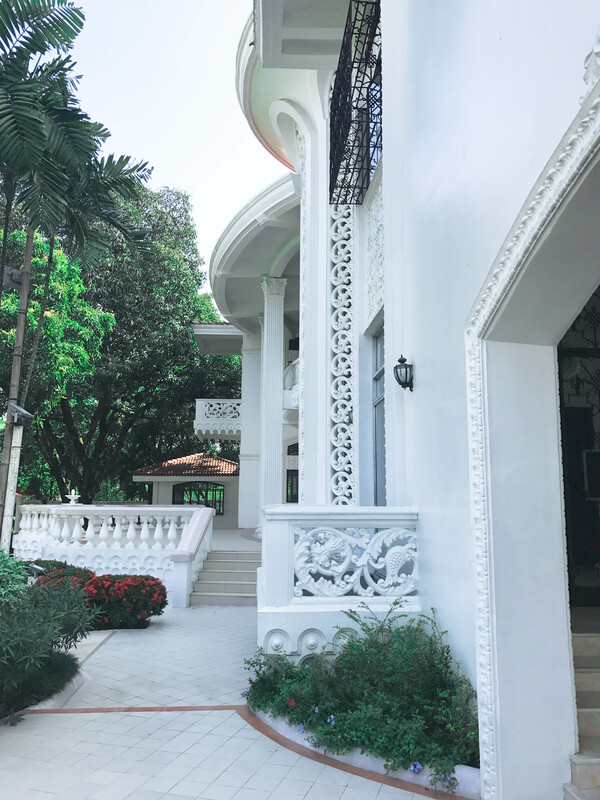 There is a beautiful back story to the place as The Mansion was a labor of love built by the family patriarch Isidoro B. Liamzon for his wife- Ma. Milagros M. Liamzon for their 35th anniversary. As a couple starting to embark on our own journey to married life and building a family, I found this story something that added to the allure of the place. I mean where better to shoot your engagement photos than in a place built with love and so many beautiful memories of family? 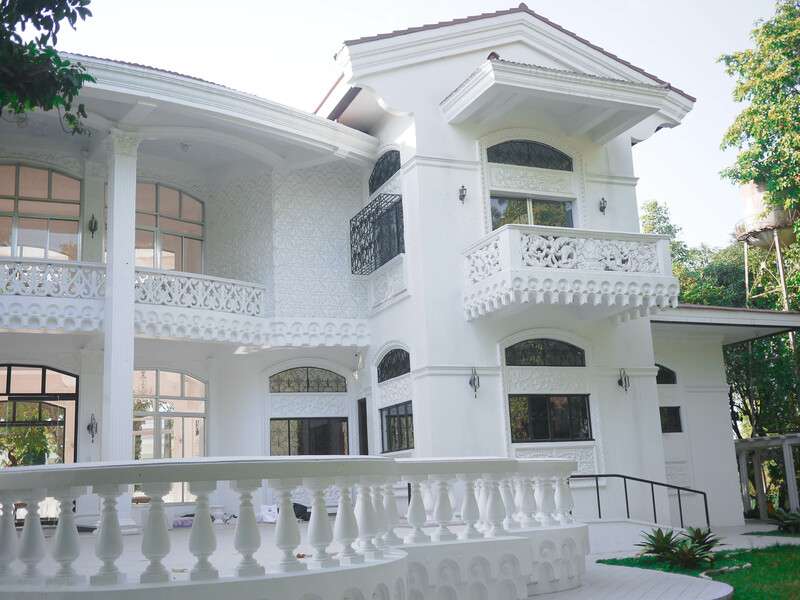 The Mansion was originally built to serve as the vacation home of the huge clan as the Liamzon family grew with the couple having a total of 11 children and 34 grandchildren. With five bedrooms, the house occupies 700 square meters of the one hectare lot enveloped by luscious gardens with front and back terraces as access points from the house. Suffice to say, there was definitely more than enough room for the entire family and it was definitely a place I wouldn’t have minded growing up in. 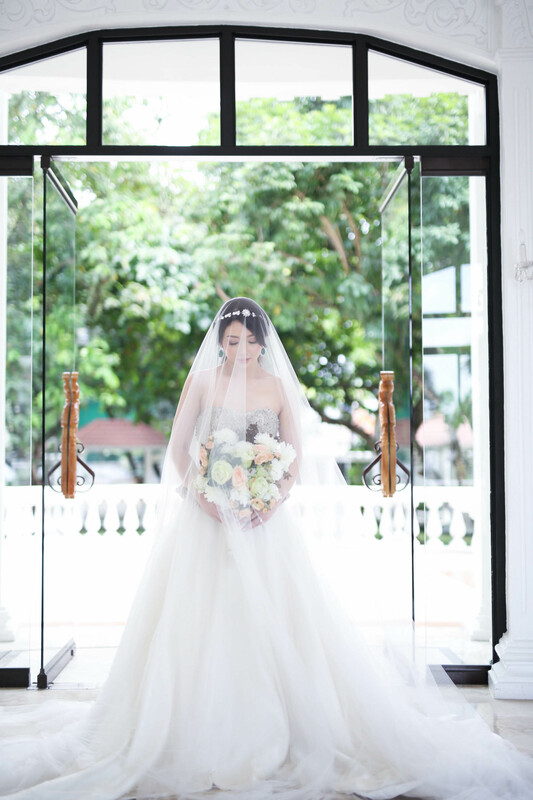 Luckily, the children and grandchildren of the couple decided to restore The Mansion to its full glory and to share it with those who want to make their own memories in the picturesque property. 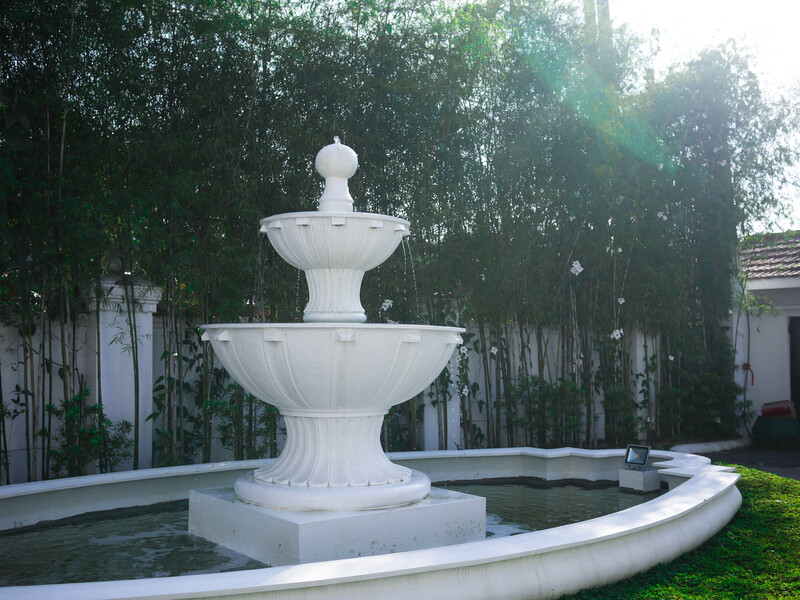 Guests can expect to enjoy an opulent mid-century classical ambiance with modern amenities and first class service. Personally, I found it very grand and romantic and it was definitely the perfect place- not just for a photoshoot- but probably also for a variety of events as well. 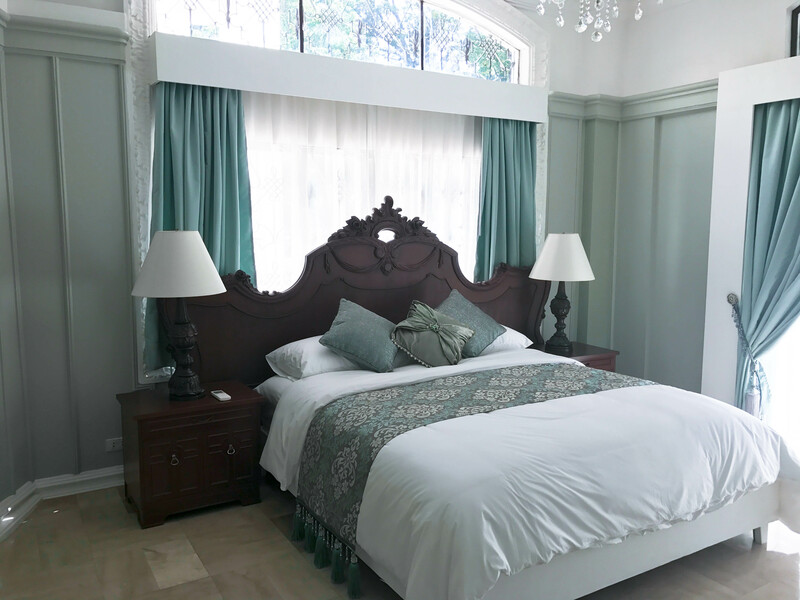 I would say that it’s the perfect location for those looking for a classic, elegant and timeless canvas tucked away in an off-the-beaten-path and peaceful location close to the city. I had the pleasure of meeting Andrea, one of the grandchildren who is also the Managing Director of Villa Milagros and aside from her very apparent love and passion for the place, she was also very sweet, attentive and accommodating and she was someone who made the place feel like home to us. Villa Milagros is located in Community Village, Brgy. Manggahan, Rizal which is just a short 30-minute drive from Quezon City. From the main road of JP Rizal St.in Rizal, make a right where you will see a street lined with residential houses. 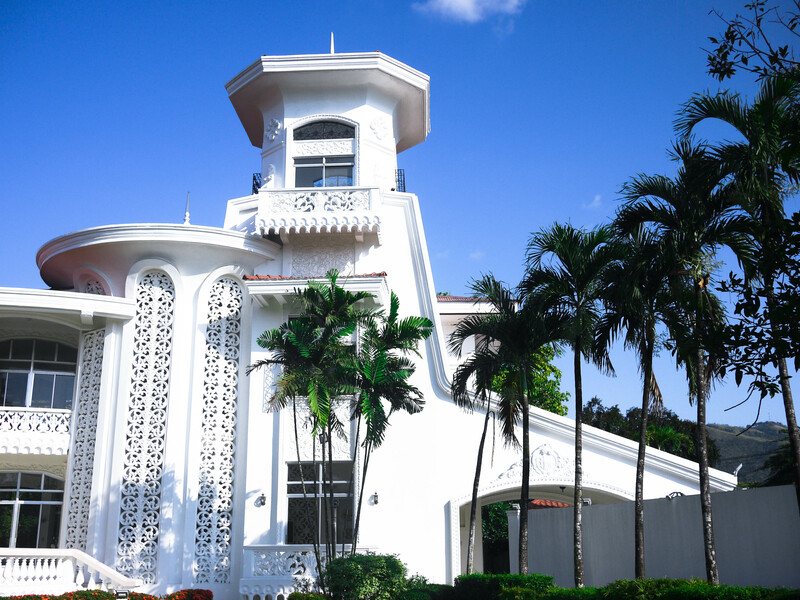 To the left is an all white property lined with lush greenery and you will see a sign that says “Villa Milagros.” Beautiful tropical palms and trees can be seen outlining the house and from the gate, to the right of the graceful driveway is a two-tier Spanish-style outdoor fountain and then the majestic all-white Mansion. 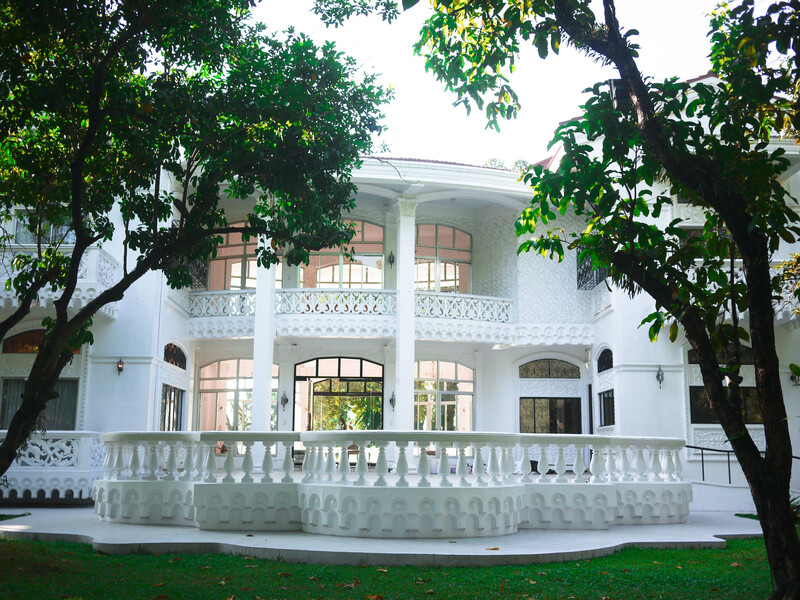 Adjacent to the villa is the newly-developed North Wing which is a glass house separate from The Mansion. 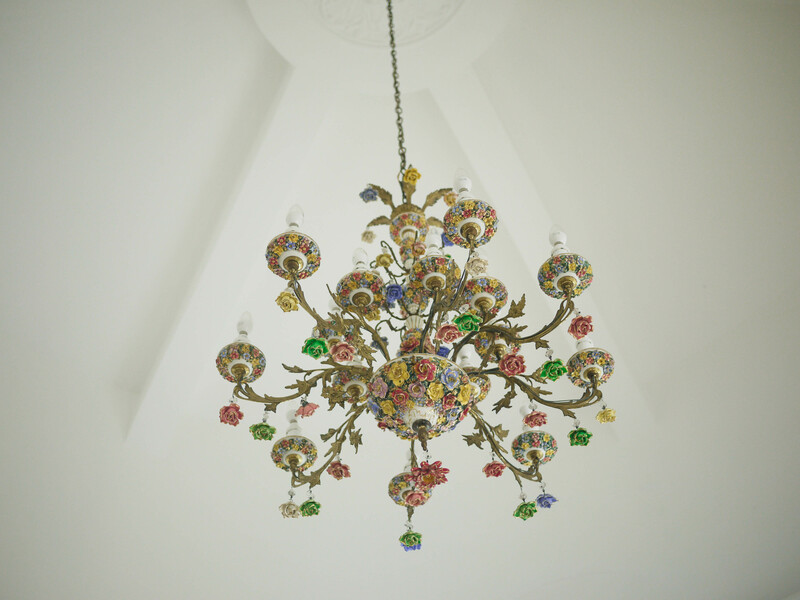 A more recent addition, the North Wing is an enclosed ballroom with high ceilings lined with iron-cast chandeliers. It serves as a banquet hall that can cater to about 300 guests. 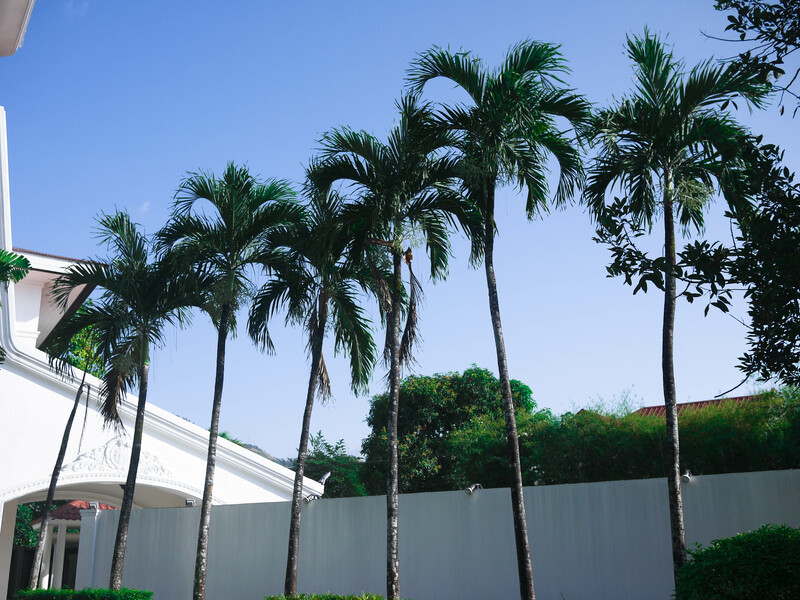 The backdrop of the entire property are the scenic and picturesque Sierra Madre mountains. I arrived Villa Milagros on a beautiful March morning and a guard greeted us from the gate. After a short drive to the mansion, we were warmly greeted by a personalized chalkboard sign that says “Welcome Joanna and Yan.” Ara, the Accounts Executive of the property was there to open the door for us. 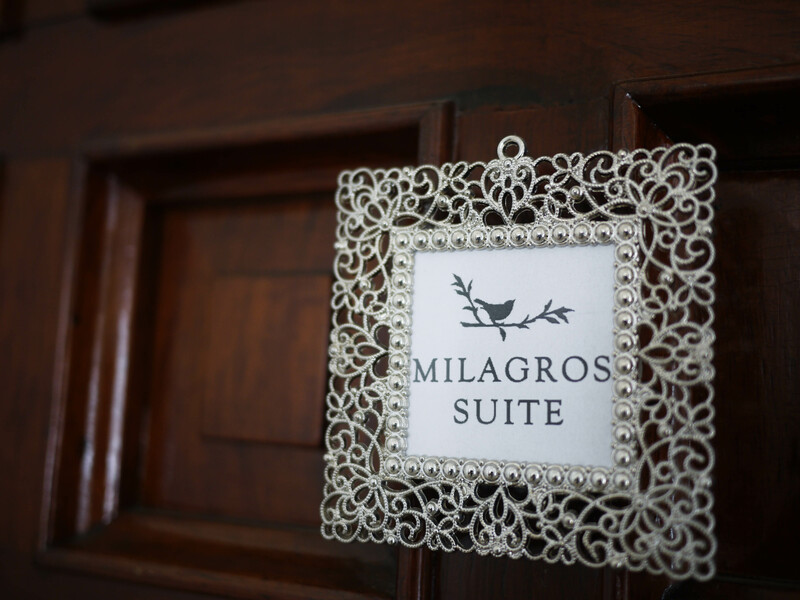 She welcomed us to the house and showed us to our private room which was The Milagros Suite located in the first Floor of The Mansion. Ara then explained the rules and general information about The Mansion and the property and she was very thorough in her tour and introduction and I really appreciated that. 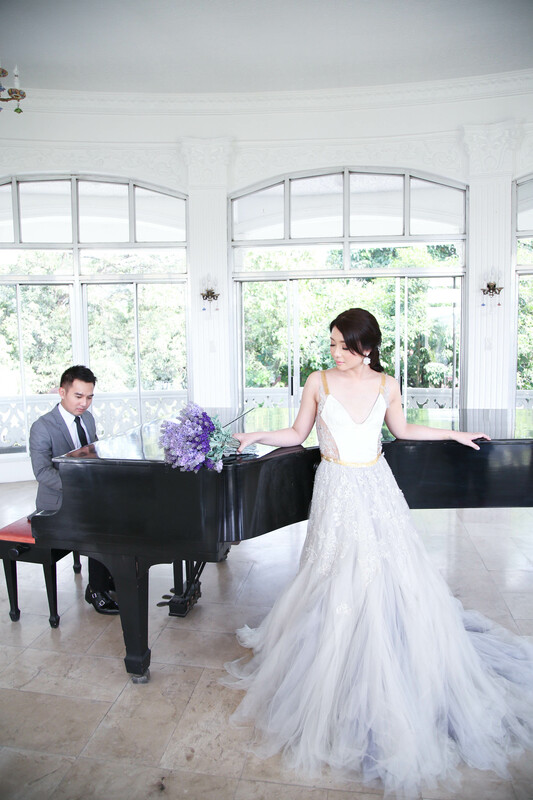 She explained that as we booked the venue for 8 hours for the shoot, we would have exclusive use of the Villa during that time. 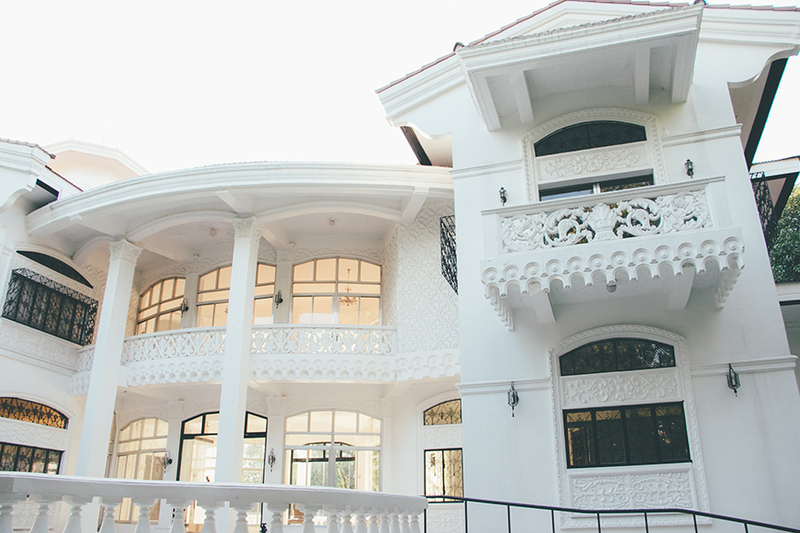 I would have to say that entering the massive property and seeing the beautiful facade was such a pleasant experience and from the get-go, I was quite pleased with what The Villa had to offer. 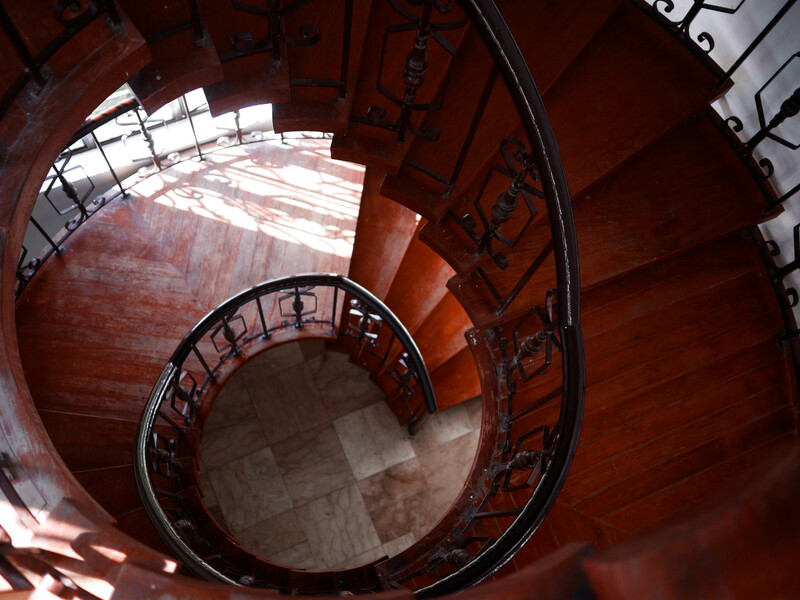 Once the door opened, I was transported to a completely different place and I immediately saw the grand spiral staircase. The entire house was flooded with natural light and everywhere I looked, I saw one-of-a-kind and unique details from the porcelain vase, the wall sconces, the glass candelabra lamps, the crystal chandeliers to the porcelain plates on the wall and the beautiful birdcage-style frame arch in the entrance hall. 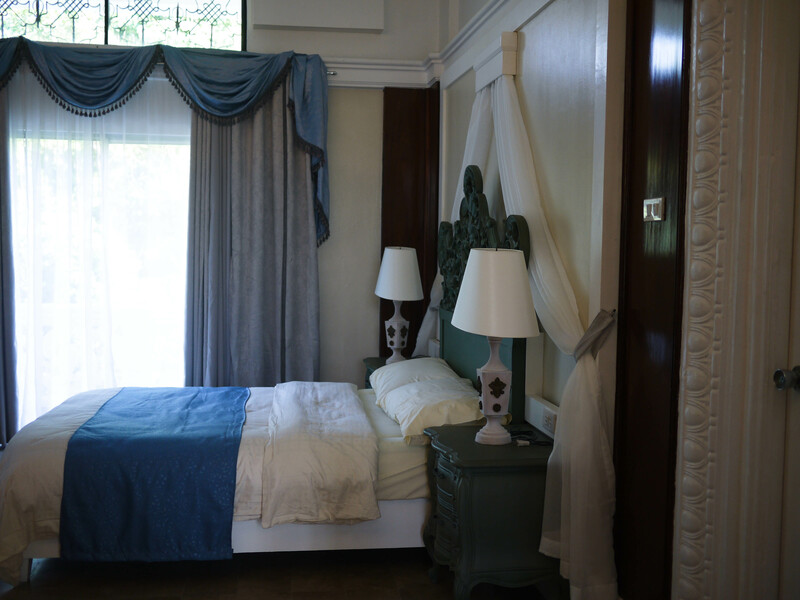 …and a separate bedroom with a king-sized bed, vanity and lots of closet space! The Grand Staircase The Mansion’s spiral staircase features intricately designed moulding and features marble flooring (as with the entire house) from top to bottom. 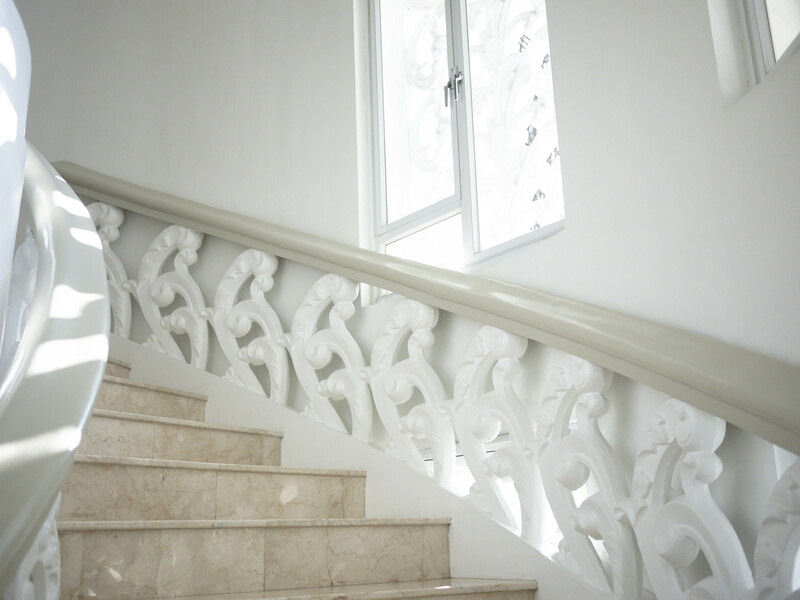 The windows which allow for a lot of natural light are coated with the same detail of moulding used in the stairs which is especially stunning in photos. 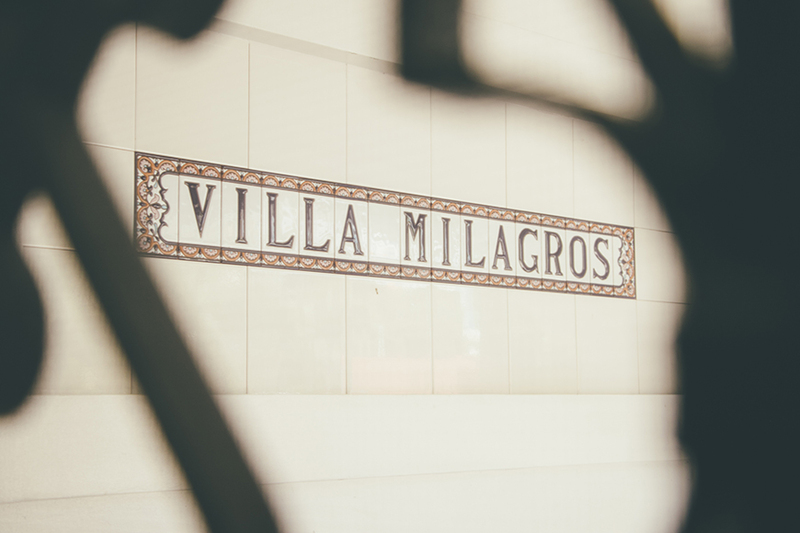 Actually, the first thing that I saw when I searched for Villa Milagros on the Internet were the spiral staircase and that was enough to get me sold. The Liamzon Hall is the heart of The Mansion and rightfully so. We spent a lot of time shooting in this oval shaped area and it was the area we used for my favorite layout for the shoot. We had Mithi of Tipping Point Collective dress up an area of the Liamzon Hall to feature a flower wall but by itself, it was already impressive. The floor had a different design of marble compared to the rest of the house and the room is flanked by lots of natural light (perfect for those high key shots) courtesy of floor to ceiling glass doors which lead to an outdoor terrace- on two sides. My favorite detail though were the hand-carved wooden peacock door handles. 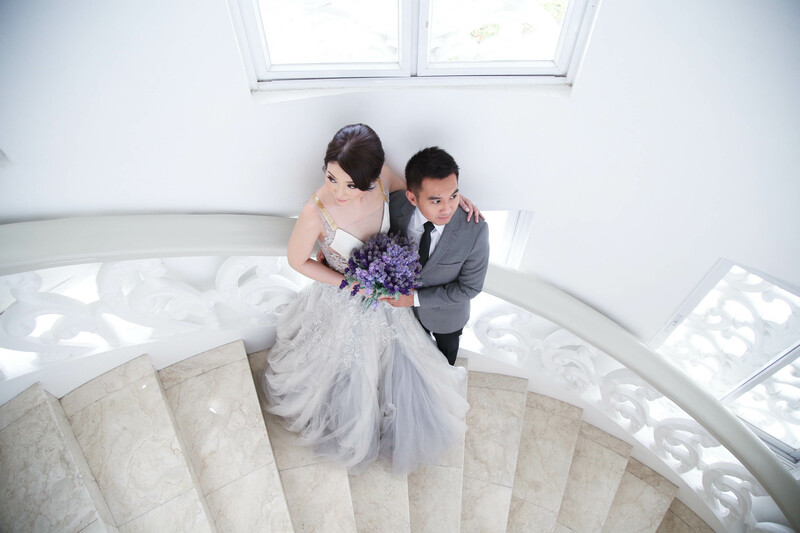 From the impressive grand staircase, we were able to access the second floor which we discovered had so much more shoot-worthy spaces. In the center of the floor is the Steinway piano gifted to one of the daughters of the owners. 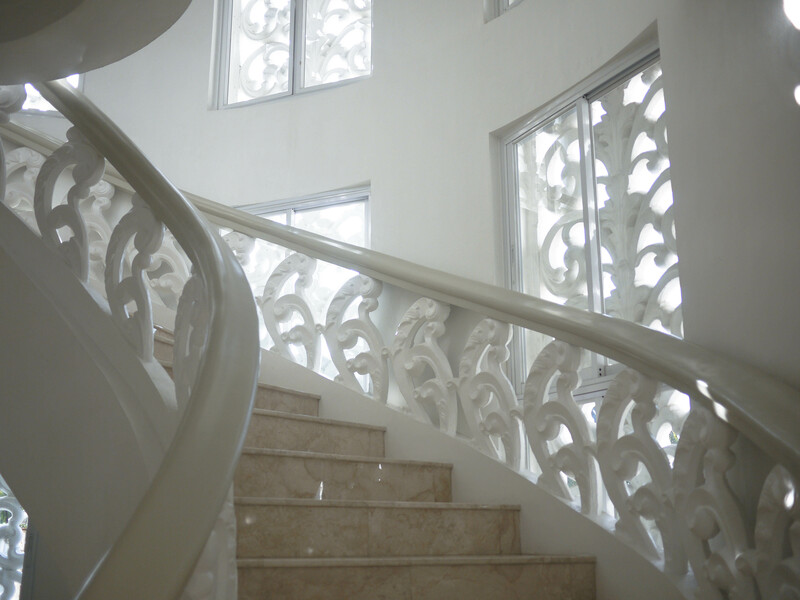 We were also able to shoot in the balcony area which overlooked the entire property. 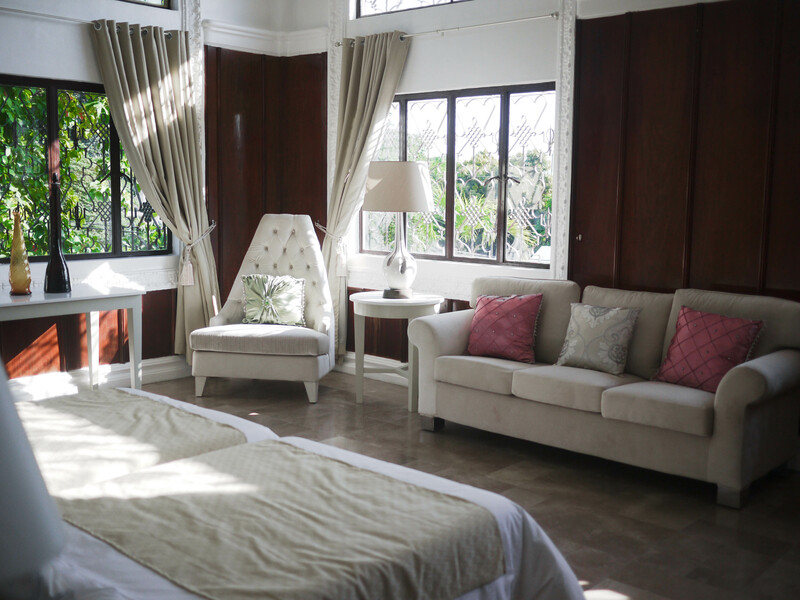 The floor also houses four more guest rooms all named after the children of the owners to as a place for guests to retreat or the bride or the groom’s preparation area for weddings and special events. 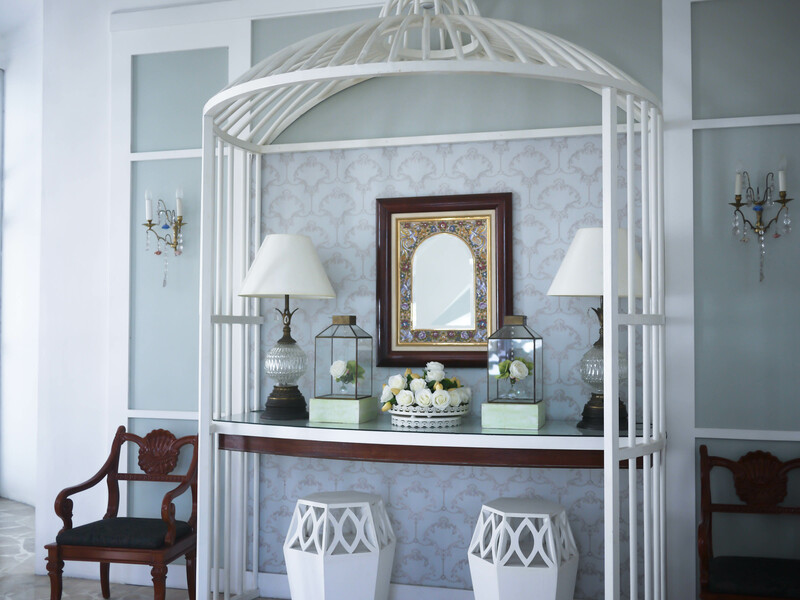 Each room has a unique color scheme and theme…perhaps best to suit the different personalities for whom the name was roomed after. The Mansion’s Lookout Point and other balconies can be accessed via the wooden winding staircase which leads up to these areas. 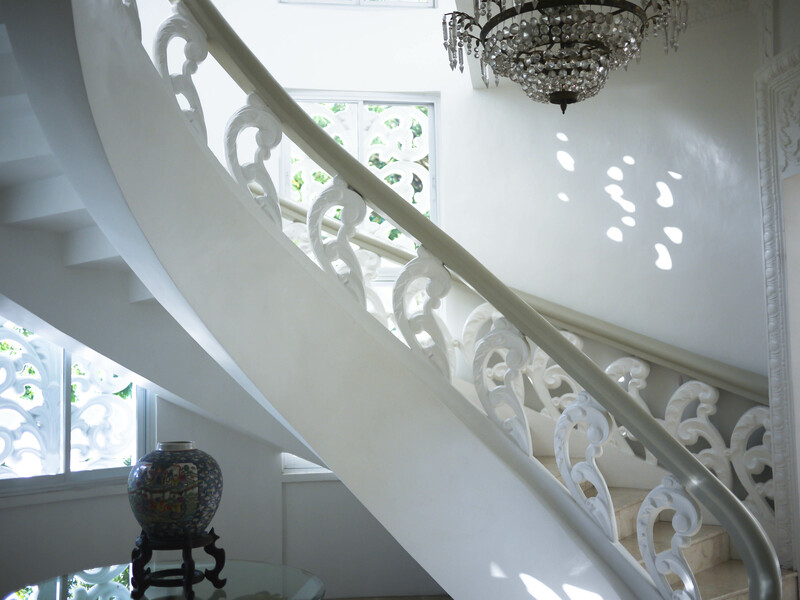 The staircase’s wooden flooring provides a stark contrast with the entire house’s marble floors. To compliment the decadent wood are iron cast railings. From the lookout tower, you can view the entire property’s scenic landscape and gardens, the Sierra Madre mountains and the town. 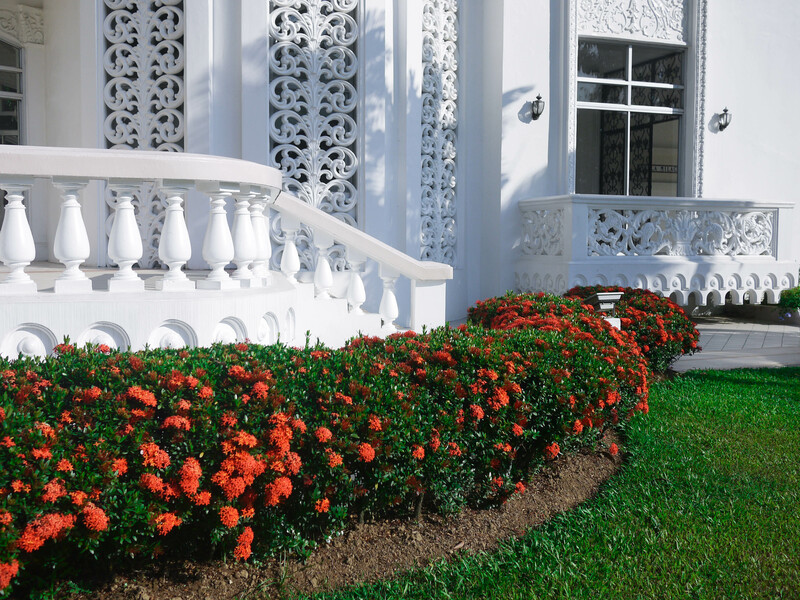 Aside from the rich architectural detail of The Mansion, Villa Milagros also has two impressive landscaped gardens named Delia’s Garden and Cristina’s Garden. Each garden has its own tiled terrace area which lead to the house. 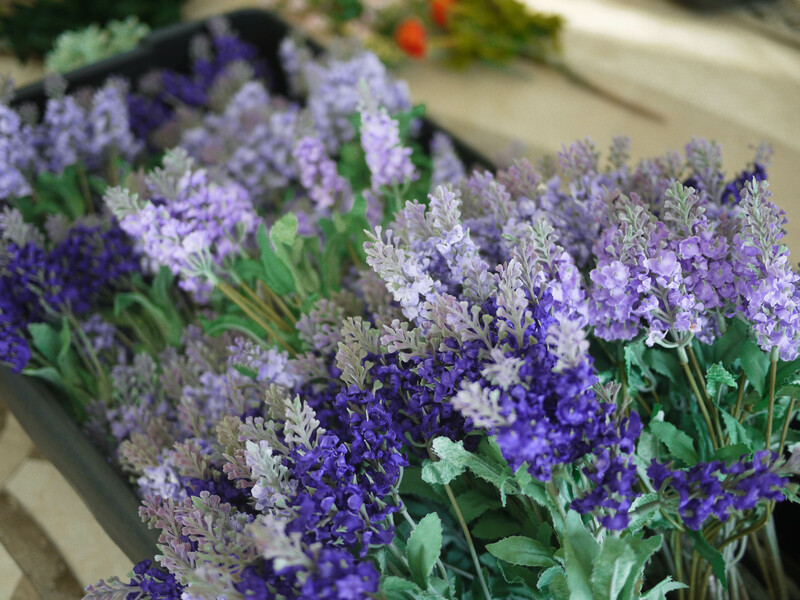 The gardens are a tranquil space because of the abundance of greenery and flowers mainly attributed to the matriarch’s green thumb and can host over a hundred guests each. 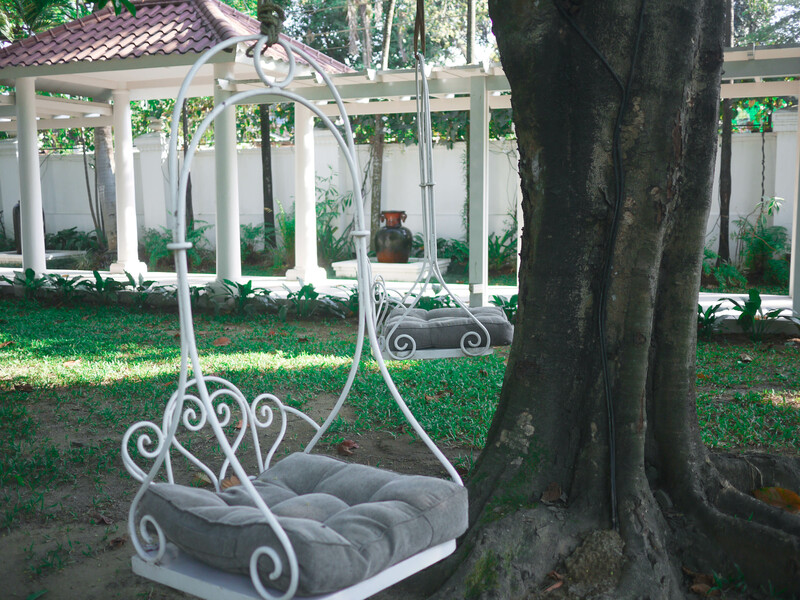 Iron swings hanging from tree branches, an ornate pergola designed after a birdcage (another area we maximized for the shoot) and arched cobbled walkways provide character and charm to these areas. This was such a beautiful and peaceful area to relax after a long day of shooting. 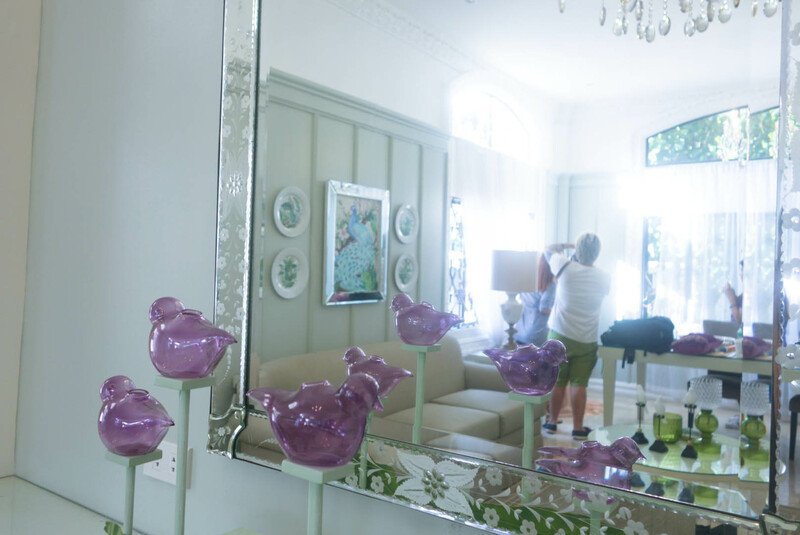 The property has a very elegant, classic and grand atmosphere while maintaining a welcoming, peaceful, home-like and charming vibe which translates to its versatility, something I am sure people look for when looking for a space to have a formal function or a photoshoot. I loved that each space was so carefully thought of and designed to have a purpose while contributing to the total overall aesthetic of the estate. 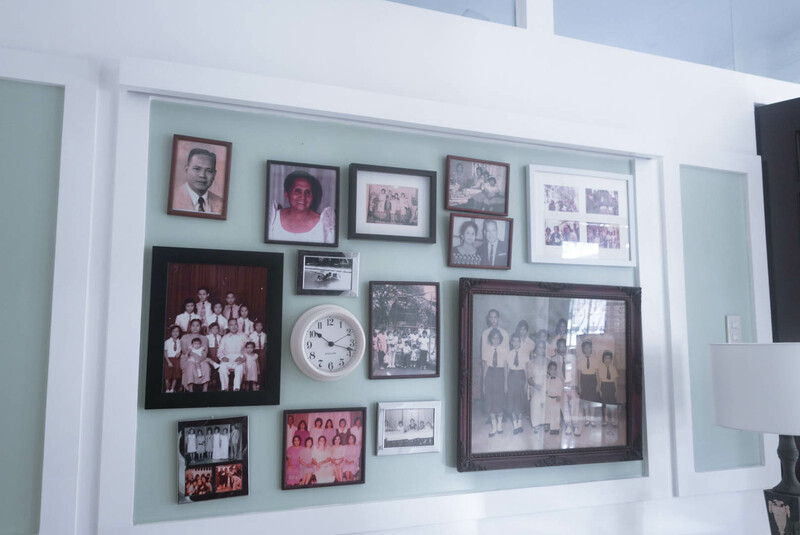 The owners definitely paid close attention to the details when they were constructing and eventually restoring the entire property. The amount of vision required to come up with such a decadent and well thought of location is something I have to commend and I find that it truly is a place where creativity and passion is so abundant and rich. 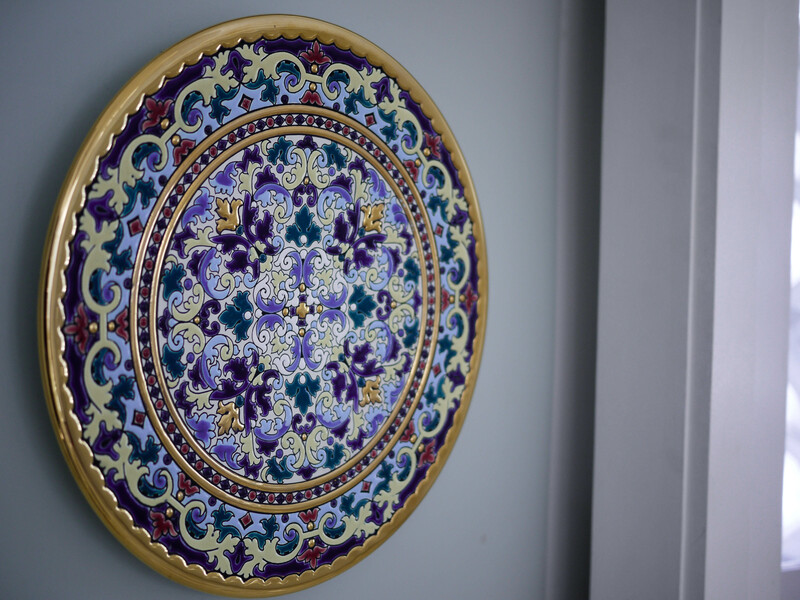 At the same time, it is something that can enhance one’s artistic capabilities and give inspiration to anyone who will be renting out the property. It evokes a feeling of warmth… comparable to that feeling we get when we’re in an unfamiliar but comfortable place. 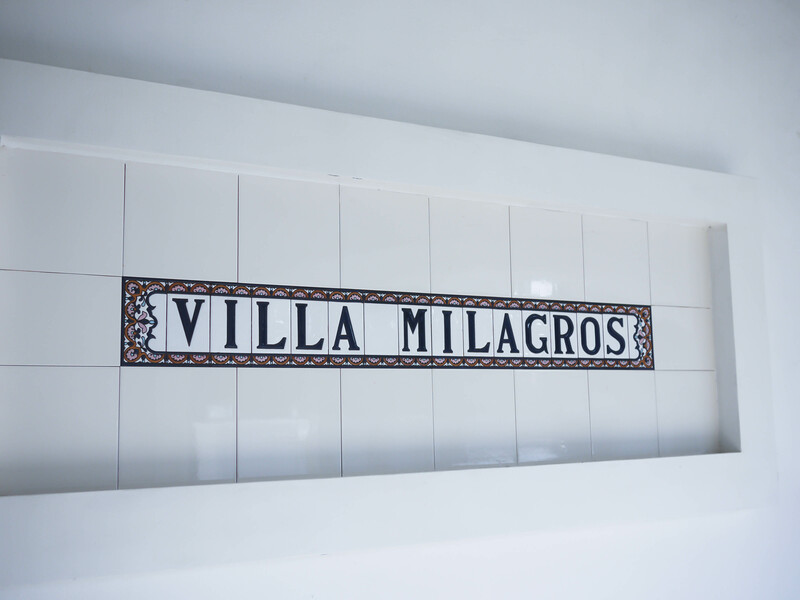 Villa Milagros honestly felt like a home away from home as the owners aimed to create such a wonderful experience for their guests during their stay in the place which I am sure holds a rich personal history. 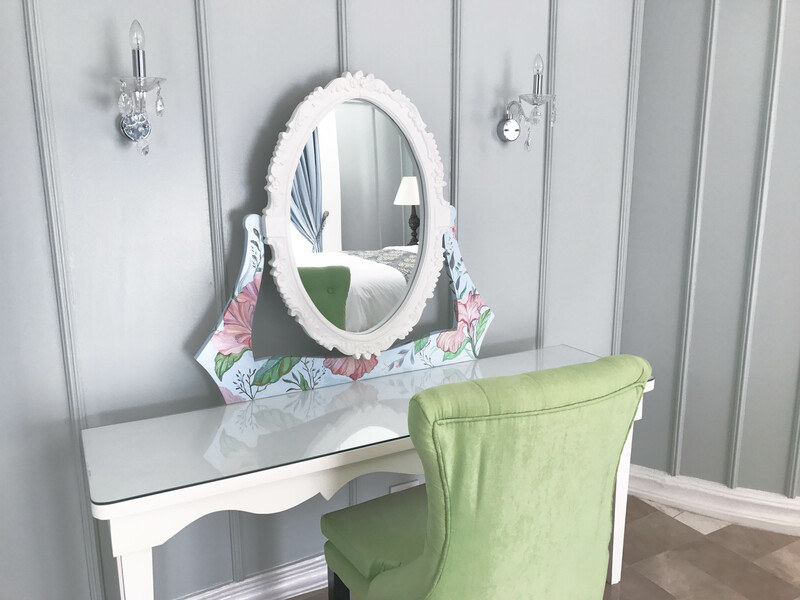 The staff and people were also incredibly warm, inviting and easy to coordinate with and this makes a huge impact on the enjoyment during their stay. 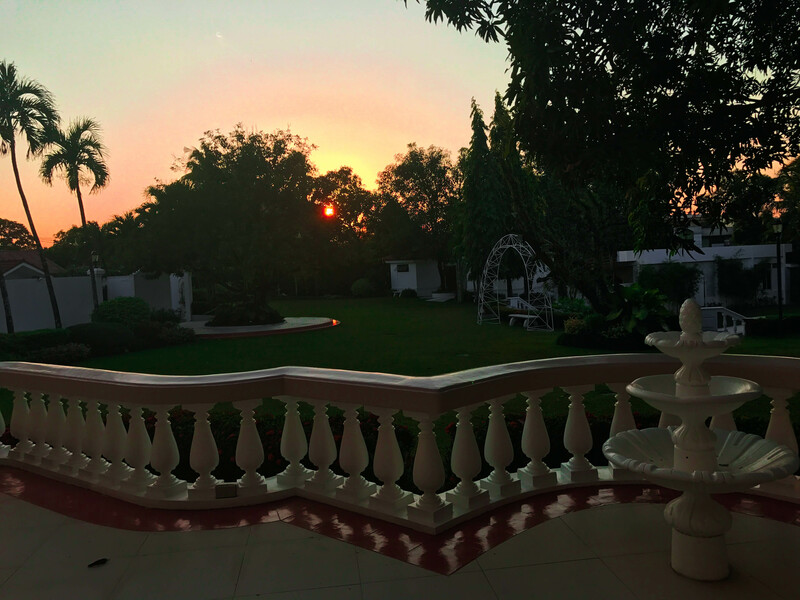 The only bad thing I can say about Villa MIlagros is that it never wants you to leave. After a day shooting in the property, I felt somehow attached to it. Simply put, it was such a personal spot that being in the property makes you feel like you’re a part of something amazing . 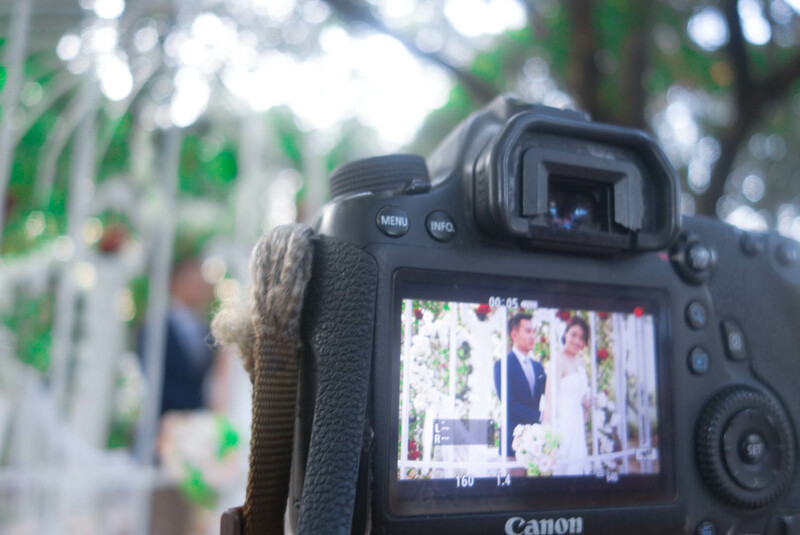 It is a beautiful starting place for love, hopes and dreams whether for the family who nourished it to be the treasure that it is today or for the guests they now welcome who make memories they will cherish for a lifetime.